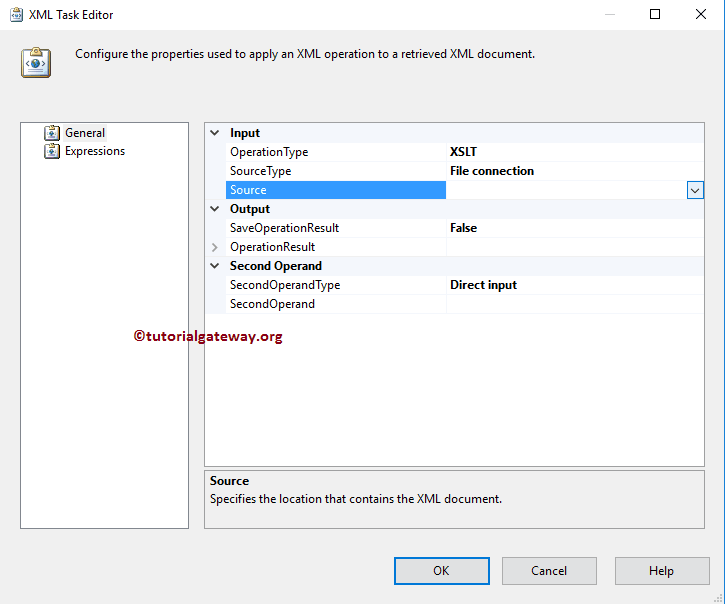 The SSIS XML Task allows us to perform Six types of Operations on XML files. In this article We will show you, How to use SSIS XML Task to Transform XML File Using XSLT with example. 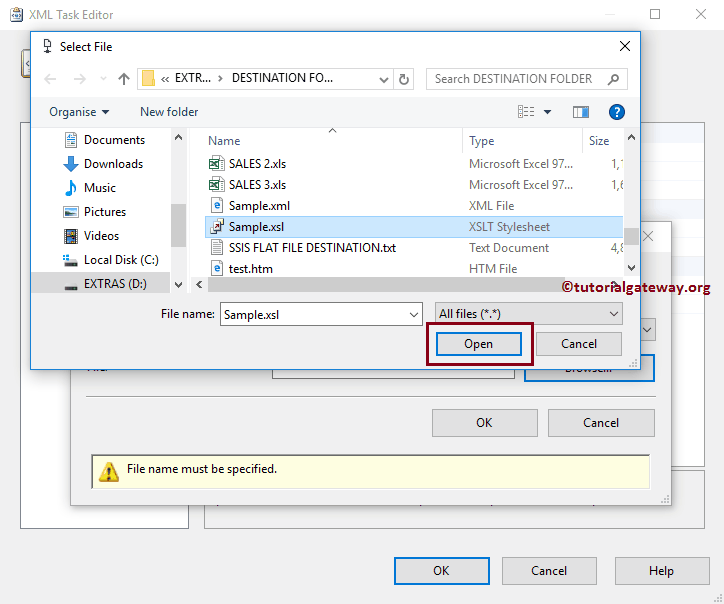 Before we get into the example, let us see the data we have in our local file systems Destination folder. Below screenshot shows you the data inside that Sample.xml file and our task is to Transform this XML file. In this example, we are using the above specified Sample.xml file as source so, we are selecting the SourceType property as File Connection. 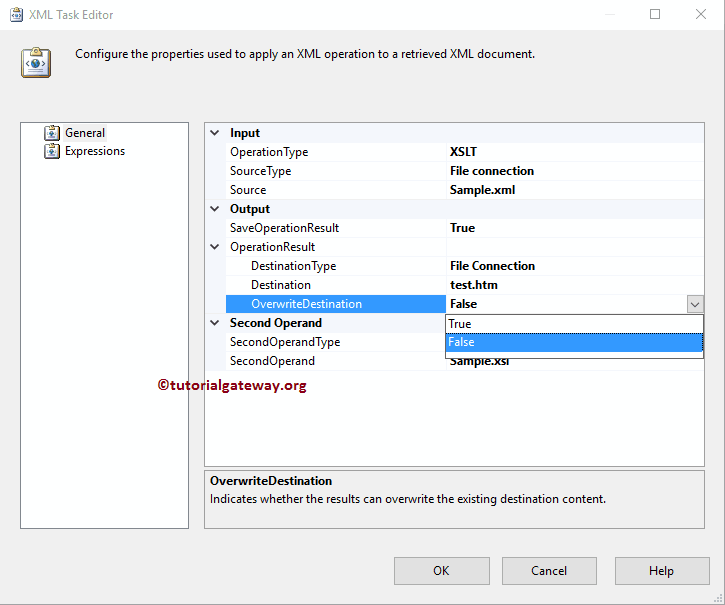 From the below screenshot you can observe that, We selected the Sample.xml file inside the Destination Folder. 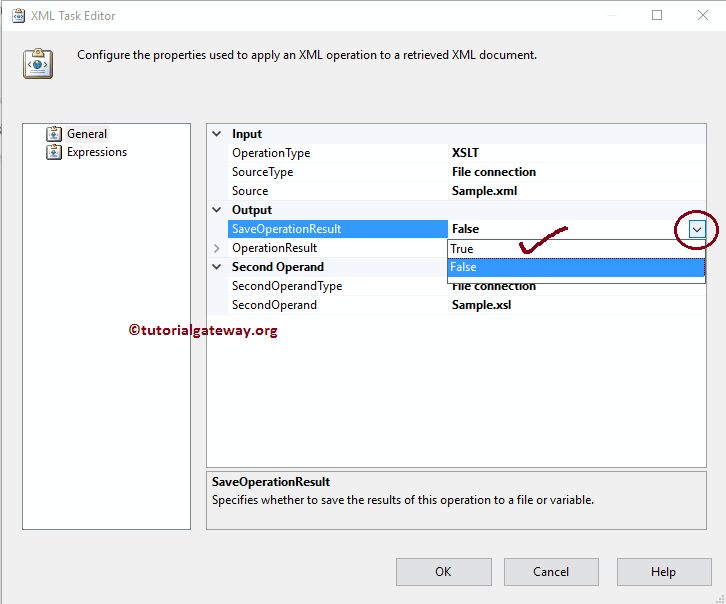 Now we have to configure the Second Operand Type (please select the XSLT style sheet) so, Please select the SecondOperandType property. 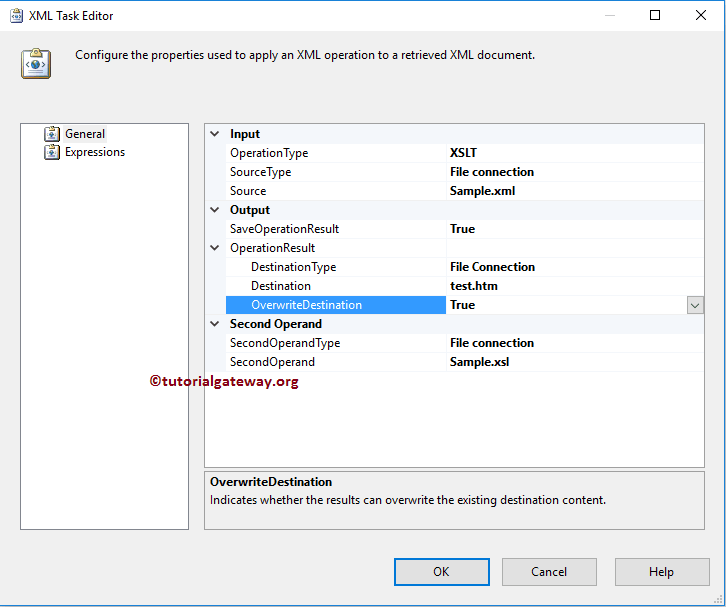 If you are using the XSLT file present in the local file system then, Please select the SecondOperandType as File Connection. 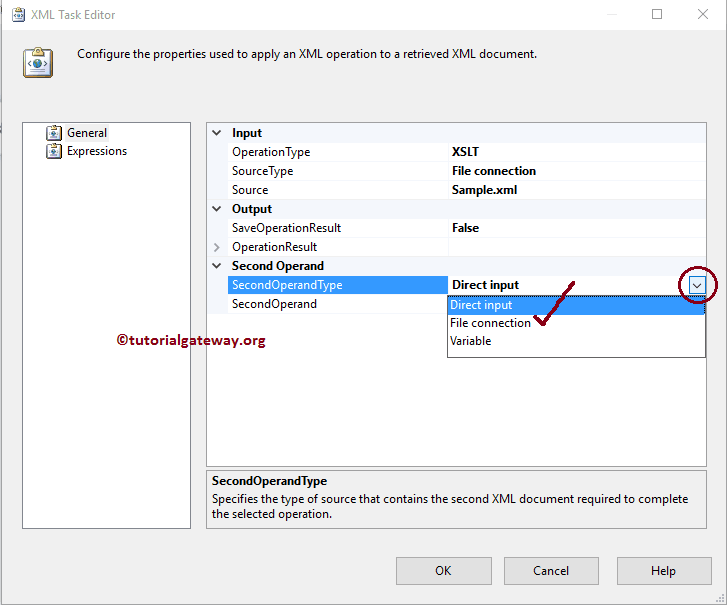 If you stored the XSLT file in the Variable then, Please select the SecondOperandType as Variable and select the variable name. And, If you want to directly input the XSLT data then, Please select the SecondOperandType property as Direct Input. In this example, we are using the above specified Sample.xsl file as style sheet. So, we are selecting the SecondOperandType property as File Connection. 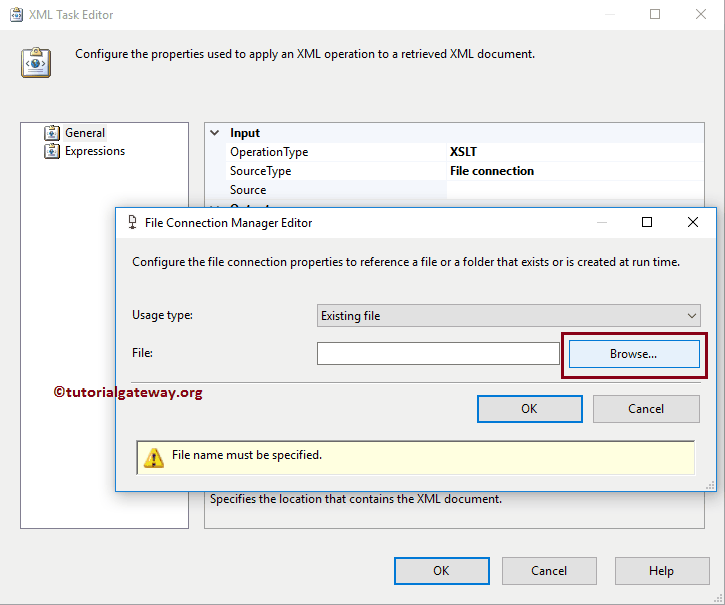 If you already created the File Connection Manager before, please select the created one. Here, We haven’t created any connection Manager before so, We are selecting <New Connection..>. Now we have to configure the Output so, Please select the OperationResult property. 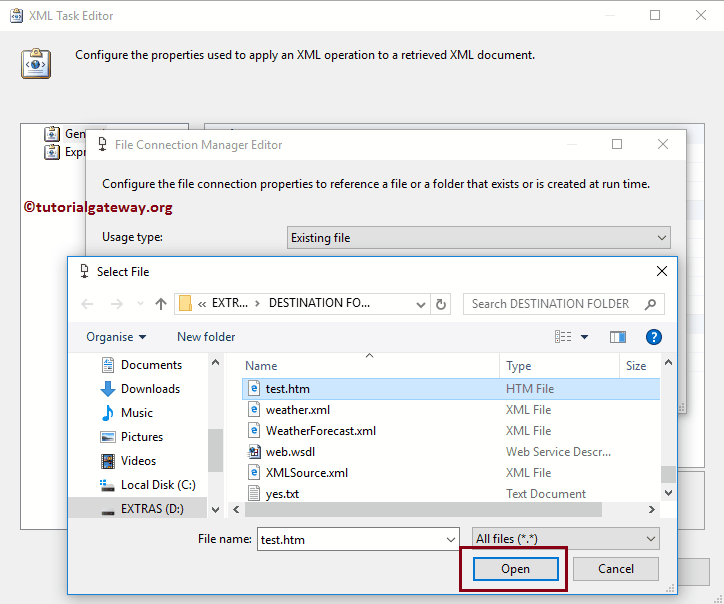 If you want to store the Output in the local file system then, Please select the DestinationType as File Connection. 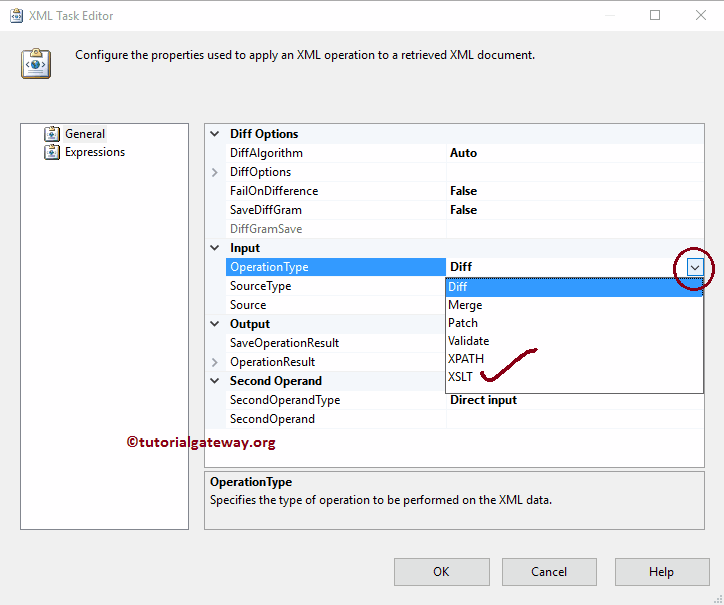 If you want to store the Output in the Variable then, Please select the DestinationType as Variable and select the variable name. 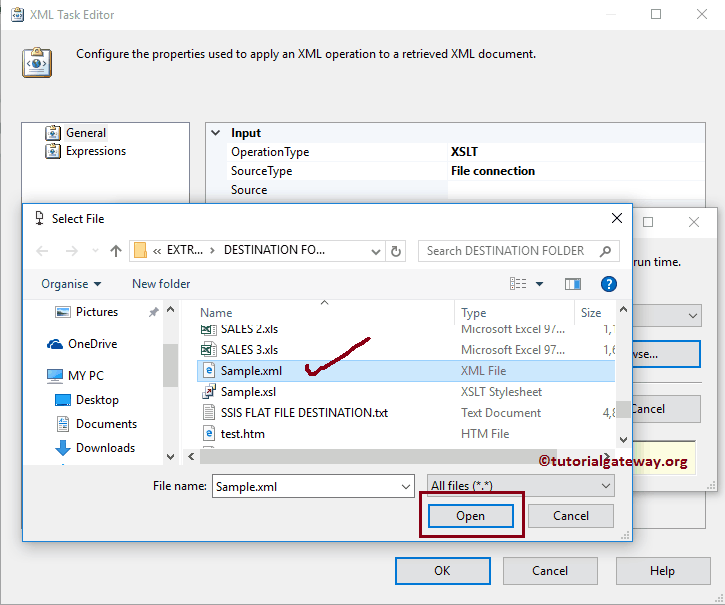 In this example, we want to store the XML Task result in our local hard drive. So, we are selecting the DestinationType property as File Connection. From the below screenshot you can observe that, We selected the test.htm file inside the Destination Folder. 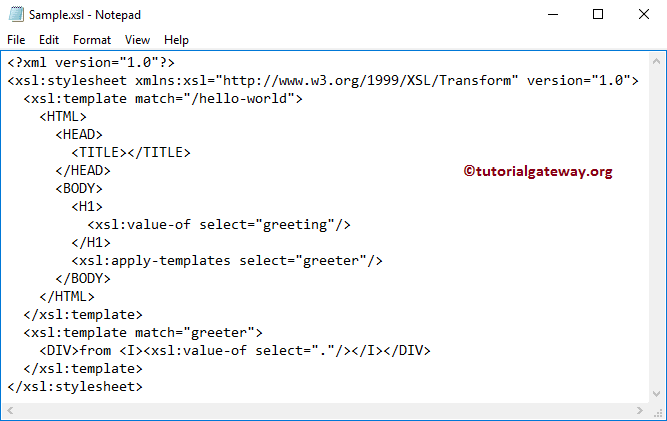 It means, we will store the transformed XML file in to HTML file of extension htm. 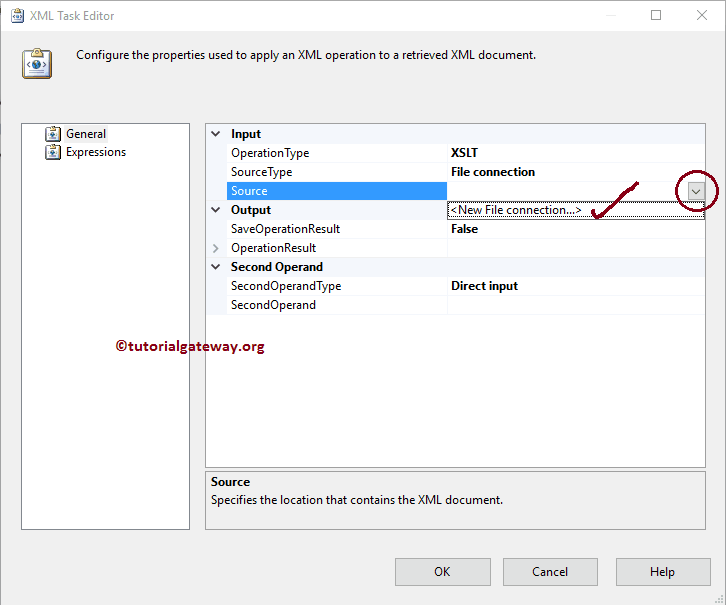 Let’s run the SSIS XML Task to Transform XML File Using XSLT package and see whether we transformed our Sample.xml file properly or not. From the above screenshot you can observe that, our package run successfully. Let us open the test.htm file and see the result.